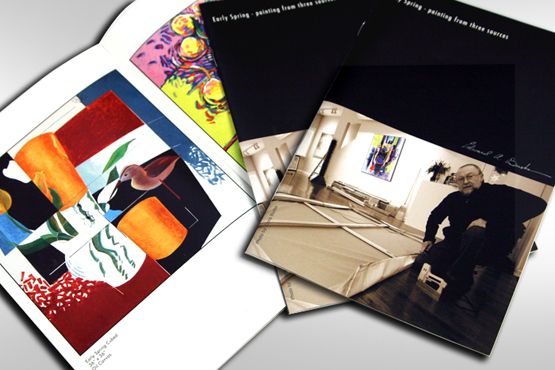 This was an eight-page catalogue of recent paintings by the artist titled "Early Spring". It shows a series of five paintings of the same subject painted from representational to non-representational. The quality of the image reproduction was critical and very demanding.